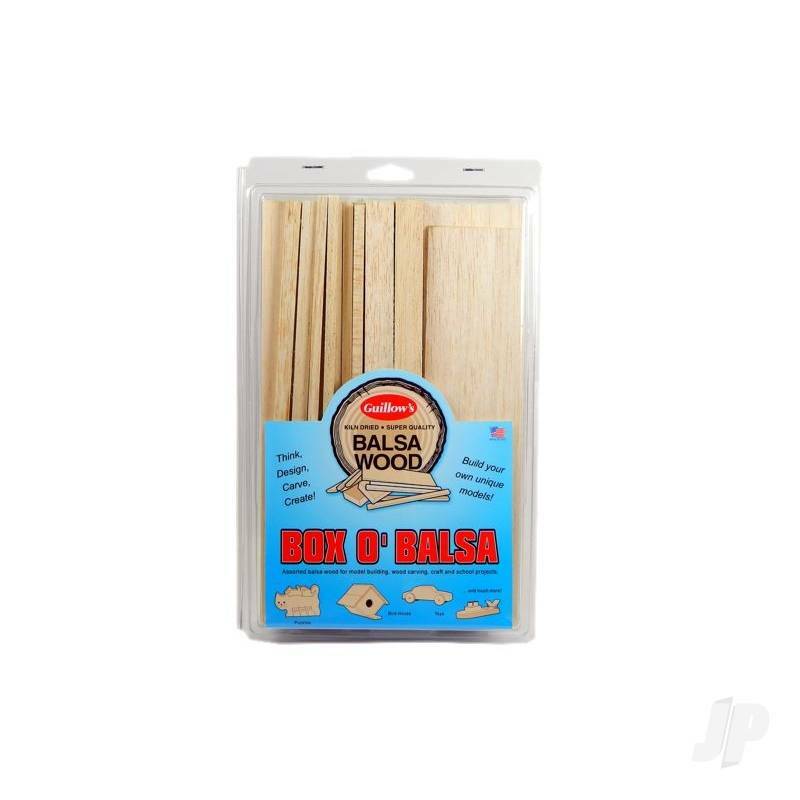 This approx 7" x 11" x 2" package contains balsa wood blocks, sheets and sticks of various sizes. Contains approx 2/3 board foot (100 cubic inches) of balsa. Random contents, no package has the same size balsa pieces.